According to the suggestion of the World Trade Organization (WTO) Secretariat, Azerbaijan at this stage will continue negotiations on the country's entry to this organization on a bilateral basis, Deputy Foreign Minister of Azerbaijan Mahmud Mammadguliyev told Trend. Up until now, the meeting of the Azerbaijani delegation with the WTO team was accompanied both as bilateral negotiations with the member countries of the organization and as multilateral negotiations on agriculture. During the last meeting, in December 2018, according to Mammadguliyev, bilateral negotiations were held only with Japan, Brazil, Norway and with other countries, primarily on mutual access to markets for goods and services. According to Mammadguliyev, the timing of the next round of negotiations depends on when new offers are ready. "The list of countries for negations has not been determined yet." the deputy minister said. 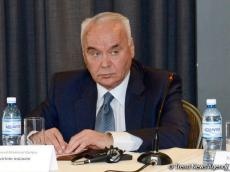 At the same time, Mammadguliyev did not rule out the possibility of completing negotiations with some countries this year. Azerbaijan started negotiations with WTO member countries in 2004. Currently, Azerbaijan is in the process of negotiations with 13 countries. Negotiations have already been completed and protocols signed with Turkey, Oman, the United Arab Emirates, Georgia and Kyrgyzstan. Azerbaijan is at the stage of signing protocols with China and Moldova. Azerbaijan has recently implemented a number of reforms, including 12 strategic roadmaps for economic development, in the system of import customs tariffs, improved trade and logistics infrastructure. It is expected that the implementation of the road maps will serve as the basis for the successful accession of Azerbaijan to the WTO. Accordingly, intensification of negotiations and completion of the process of Azerbaijan’s accession to the WTO will be possible only after receiving preliminary results from ongoing economic reforms in the country, which is expected until 2020. Note that Azerbaijan has an observer status at the World Trade Organization since 1997. Azerbaijani team under the WTO secretariat was established on July 16, 1997.